The Rebel Sweetheart. : Promise Rings | Harbinger of Things To Come. When the husband and I started dating some ten years ago, one of the first few gifts that he gave me was a promise ring. It was a set of promise rings, actually, which he surprised me with on our first anniversary as a couple. I'm chuckling from the cheesiness as I write, but when you're young and you're in love, going through all these mushy, lovey-dovey stuff is inevitable. Shane Co.'s 'Always I Promise' Collection is a perfect example of what promise rings should be. It's a collection that embodies the beauty of being young and being in love. The rings included in this collection are finely crafted from sterling silver and set with a selection of precious stones - sparkling diamond, natural ruby or natural sapphire. The stones, in addition, come in a variety of ten beautiful colors: traditional blue, ice blue, Kentucky blue, pink, lavender, green, orange, yellow, white or black. If any of the available rings don't seem to suit your or your partner's style, you can design your own ring instead. With this option, your husband or your partner need not worry if his ring doesn't look 'masculine' or if it's a tad too girly to be worn by a man. 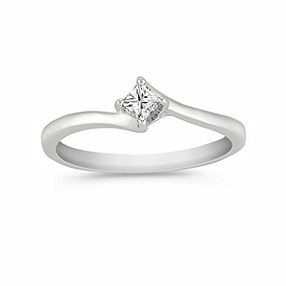 The ladies, on the other hand, can create a ring the way women want it - chic, sophisticated, and elegant all at the same time. Shane Co. promise rings don't come cheap, though. But considering how something as small as a ring can make your significant other eternally happy, the price isn't so bad. After all your love isn't something cheap, either. I guess investing in a promise ring is one way of showing a commitment to the person one loves. promise ring is a great way to represent,I'll mind that.lovely post. I love the design of these promise rings. The are simple, but still very elegant and sweet. I think it's a lovely idea. This is a beautiful ring. I think it would make even a great wedding ring for someone who is on a budget and can't afford anything bigger. I remember promise rings from high school. Funny thing is I never got one. I love the idea, though, for young adults who are dating. I love the Shane Co. design. It's so simple and beautiful. I live simple elegance. Great post! Very pretty. Really like this. My husband and I were married very young, and for awhile, we had promise rings. I agree with Christy Garett - I didn't think of that - excellent for someone who can't afford a more expensive ring. A very beautiful ring indeed!! !